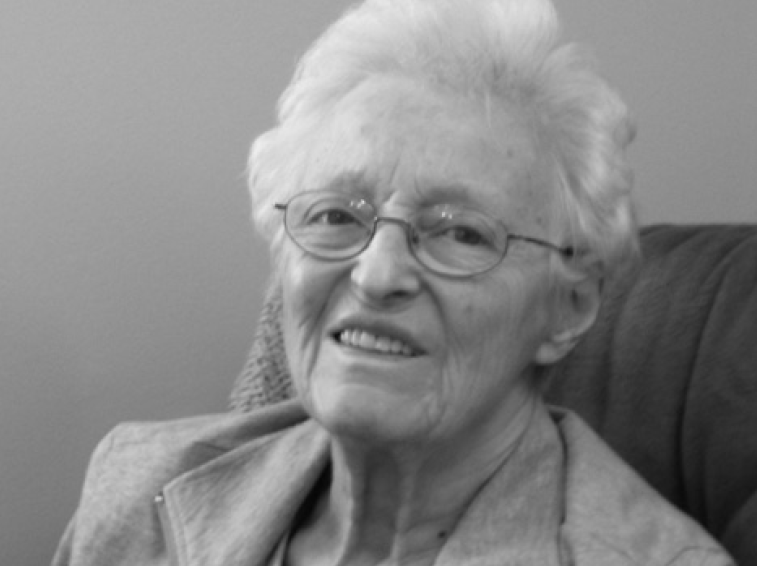 Jean Eileen Milroy died January 6, 2014 in Lawrence. Born on the family farm near Morganville, KS April 2, 1922 she was the second daughter of Belle Blanche Gelino Taylor and Warren Taylor. She attended a one room school there and then moved to Clay Center KS where she worked, lived in a boarding home for high school girls and attended Clay Center Community High School. After graduation she completed business college in Wichita. At the beginning of World War II she married her high school sweetheart, Dean Milroy, during his training as a pilot in the Army Air Force. Upon his return at the end of the war they moved to Lawrence where he worked and attended KU. For a year they managed the Rock Chalk Cafe. She was employed as secretary at the Lawrence Board of Education then worked at KU for 35 years. She served as secretary for the Department of Electrical Engineering and the Department of Health and Physical Education. She was a member of the KU Retirees Club, the Knife and Fork Club and the University Women’s Club. She was an enthusiastic Jayhawk basketball fan. She was predeceased by her parents, sister Verona Taylor Hanson, her son Alan Douglas Milroy and her husband. She is survived by her son and daughter-in-law Michael and Betty Milroy of Santa Fe, NM. She also leaves two grandsons, Craig Milroy of Austin, TX and Colin Milroy, wife Kori and two great-grandchildren of Chicago. A graveside service was conducted by the Rev. Peter Luckey January 9. A service of remembrance for family and friends will be held in Lawrence this summer. A memorial scholarship for women scholarship hall students will be established at the University of Kansas Endowment Association. Chapel Oaks Lawrence in charge of services.